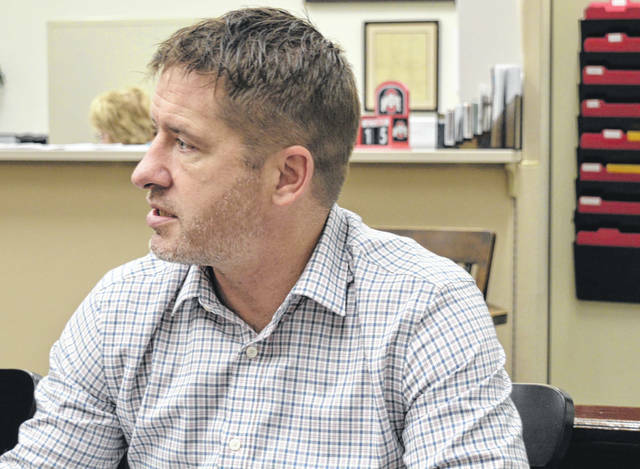 Assistant Clinton County Prosecuting Attorney Andrew McCoy, the county commissioners legal counsel, listens to a discussion about a planned endowment fund containing money associated with the sale of the former county-owned hospital. Creation of the new fund will generate interest income for local projects, and the money will be awarded after a competitive application process. BrightFarms Project Developer Sean O’Neill meets Monday with Clinton County commissioners regarding a planned expansion. WILMINGTON — BrightFarms Inc. is already looking to double the size of its hydroponic greenhouse — and workforce — on Davids Drive. BrightFarms Project Developer Sean O’Neill met Monday with the Clinton County commissioners and city officials about the plans to expand the Wilmington greenhouse where salad greens and herbs are grown and made available at grocers in the Cincinnati, Dayton and Columbus region. BrightFarms has engaged architects to design the new space, which will be added onto the existing facility, O’Neill told commissioners. In terms of jobs, he said the company is looking at going from the current 25 jobs to about 55 jobs. And as for time frame,the intent is to be working on the foundation and construction in summer 2019, and be done and operational in early 2020 at the latest, said O’Neill. The investment in new construction probably will be in the range of another $9 to $10 million, he said. While greenhouse space will be doubled, the headhouse and the processing area don’t need to be doubled in size. O’Neill said BrightFarms officials are excited about the expansion, and excited about the work here and want to double what BrightFarmers do here. Wilmington Mayor John Stanforth said Monday the news is “incredible” and he’s really glad the company is expanding and will be adding new jobs. “We’re doing everything we can to help facilitate the project,” said the mayor. One reason O’Neill was in town was to see what the company needs to do to receive a tax abatement on the new construction. For the original commercial greenhouse, Wilmington City Council approved a property tax exemption at a 75 percent rate for 10 years on the eligible property. BrightFarms builds and operates greenhouse farms near major metropolitan areas to provide supermarkets with a consistent and year-round supply of locally grown produce, stated a company news release. With a freshness advantage, innovative varieties, a more reliable and safe supply chain, and consistently higher category sales, BrightFarms stated it has achieved success with leading national retailers such as Kroger, Ahold Delhaize, Albertsons and Walmart. The company currently operates facilities in Pennsylvania, Virginia and Illinois, in addition to the greenhouse farm in Wilmington. A Texas facility is slated for early 2019. On another matter, commissioners discussed a pending agreement between the county and the Clinton County Foundation in which the Foundation will hold and invest a fund that contains money associated with the sale of the former county-owned hospital. No decisions were made Monday on how much of the legacy fund to never award in order to maintain the fund and keep generating interest income for decades to come to award as grants. Various options were touched upon regarding this “floor amount” to never go below, and discussions are expected to continue at the commissioners’ business session Wednesday morning. Commissioners seemed to agree that the process should be structured so that grants to be awarded in a particular year will be based on the investment income generated during the prior year. That is so those who award the grants will know how much money is available to distribute. 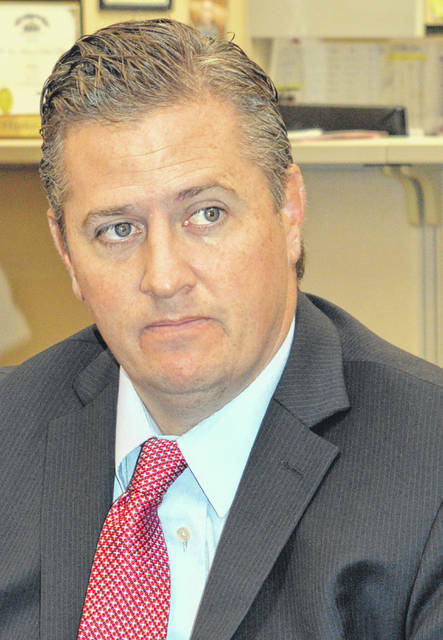 If that becomes official policy, probably the first year for these grants to be awarded will be 2020, noted Assistant Clinton County Prosecuting Attorney Andrew McCoy, commissioners legal counsel. Clinton County Commissioners President Pat Haley called the above idea “a safety valve” because the returns on investment will vary.